Compared to older and clunkier flashlights, modern tactical flashlights are more compact. However, despite their compact size, the latter also packs more lighting power (lumens) than earlier flashlight models. For emergency situations – When you lose power, you’re going to need a light source once it gets dark. Keep a tactical flashlight within reach in every room in your house so you won’t have to fumble in the dark. Light source – Because of their compact size, tactical flashlights can be stored in a backpack, handbag, or in your pocket. A tactical flashlight is also a comforting thing to have with you if you’re walking on a dark road, or if you’re in an area that seems unsafe. By narrowing the beam, you can light the way further than a regular flashlight would. 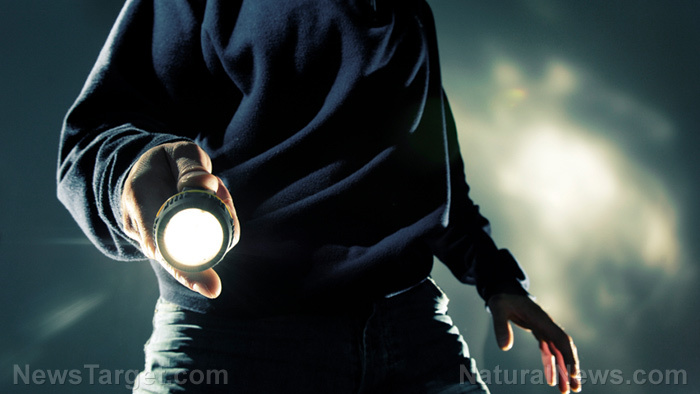 Self-defense – Using a flashlight as a self-defense tool would probably be the last thing on your mind in an emergency, but you can concentrate and narrow a tactical flashlight’s field of light into a singular beam. Since tactical flashlights already have a high lumen rating, they can be extremely bright enough to temporarily blind an attacker. This makes a tactical flashlight incredibly useful, especially if you need to use it at night since the attacker’s eyes have adjusted to lower lighting. Once your potential attacker is blinded, you can make a run for it, which should be your priority in all self-defense scenarios. To signal for help – If you’re in an emergency, you can use a tactical flashlight to call for help, especially at night when waving your arms around and yelling aren’t enough to call someone’s attention. You can even use your flashlight to send a message in Morse code. Starting a fire – There are three ways to use a tactical flashlight to start a fire. First should only be considered in an SHTF scenario because it involves breaking the lightbulb. Do this carefully since you only need to break the bulb’s outer glass. You just need the inner filament and some tinder, which you can place near the top of the light around the filament. Switching the light on will soon generate enough heat to start the fire. Second, you can use the protecting glass lens from the cap of the flashlight to magnify sunlight during the day onto tinder. The third is possible for some tactical flashlights with highly concentrated lumens since shining these flashlights onto a flammable material is enough to create a fire. A utility tool – Since tactical flashlights are sturdy and durable, models from certain brands can also be used as weapons. Some brands used in law enforcement and military industries have hard exteriors and sturdy handles, making them a suitable makeshift weapon. Others have serrated edges, e.g. duty-made tactical flashlights, which can be used to break through a car window if need be. LED – An LED flashlight is tougher than an incandescent model. LED is also more energy efficient. Lumens – A flashlight needs at least 120 lumens of light output so you can also use it as an effective self-defense tool. Material – Get a flashlight that can withstand some impact, like one made of hard anodized aluminum. This tough and light metal is suitable for this kind of survival gear. If the metal on the flashlight is machined, it’ll be easier to grip so you don’t drop it by accident. Simplicity – Unless you really need extra features, stick to a tactical flashlight model with basic functions so you won’t have to struggle to use it during emergencies. Size – Get a small flashlight so you can easily carry it in your pockets. It should be smaller than your palm. Waterproof – This ensures that you can still use the flashlight even when it’s raining or in other wet conditions. You can read more articles about other useful survival gears at Gear.news.